Ok, so I have this one Aunt who is always asking what the kids want for their birthday or Christmas. She is my aunt and she is awesome because she listens and I love how she always sneaks in educational resources. I am a little particular about what educational gifts my kids are receiving so that is probably why she asks. I honestly feel like my children have enough toys and would be happy with an empty box but I know my aunt will be asking again soon. This time I will be ready for her. That is me and that is exactly how I think, so I put together a educational Christmas list to send to your husband or well meaning family member when they ask what the kids want for Christmas. Yes, I think this is a brilliant gift for kids. A membership to the zoo, science museum, or art museum would be awesome. My dad recently asked what the kids wanted and I sent him a link to Kiwi and Koala Crate. These are monthly subscription boxes that have projects in them. They use cute little names like “tadpole crate” for ages 0-2 all the way to “Eureka crate” for ages 14+. These little subscription boxes include a themed project maker that explore art, science, and engineering using high-quality materials with easy to read instructions for the child. It adds in a magazine with comics, experiments, and games. Even a online section for DIY ideas with tutorials. Amazon has a subscription box called Stem Club. This is a subscription service that sends handpicked Science, Technology, Engineering, and Math toys in a box right to your door. You can choose to sign up for 1-3 month at a time. It has three age groups to choose from; 3-4 yr old, 5-7 yr old, and 8-13 yr old. I put my husband and kids before myself all the time. I mean it, all the time. Is this you too? In fact, whenever anyone asks what I would like for anything, I reply with- “Nothing.” As I think of it, it isn’t exactly true. I WOULD LOVE for someone else to come once in a while and clean my home. Now don’t get me wrong we often clean together but sometimes it is hard to get all the things done so it would be nice if someone else did the cleaning some days. Amazon has a cleaning service and it is $56 for 3 standard hours, I’ll take it! Here is the link again–>House Cleaning – 3 Hours, Standard Products . A Christmas gift that I received last Christmas was a grocery delivery service from Shipt. It is regularly $100 for the year but if you use my referral code you will receive $50 off. Having one less thing to do has been incredibly helpful this past year. It is wonderful to have your groceries delivered to your door when you are in a busy season of your life. If you just had a new baby, surgery, or you are just in a season of life where you are struggling to get all the things done a year of having your groceries delivered is super helpful! Use my code and get $50 off a membership when you sign up! Use coupon code: nRJTc at check out to receive $50 off your order. A cute homeschool T-shirt or Hoodie would also be lovely! Check out my spreadshirt shop and today only receive 25% off on any order USE Coupon Code: CBRWKND. Holistic Homeschooler Spreadshirt SHOP. If you need a homeschool planner I have two options for you in my Online SHOP, ANY of my downloads are 50% until after cyber Monday. Use coupon code: BFS50%OFF at check out- this does not apply to any physical products such as shirts or coffee cups. 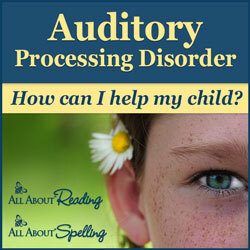 Holistic Homeschooler Shop CLICK Here. Holistic Homeschooler is a participant in the Amazon Services LLC Associates Program, an associate advertising program designed to provide a means for Holistic Homeschooler to earn fees by linking to Amazon.com and associated sites, at no additional cost to you. With kindle unlimited the first month is free and you or your child can get unlimited reading and listening (audiobooks) on any device! The who was or what was book series is pretty cool, it covers varies biographies of famous people or events in time. Aside from the Large cartoonish front cover illustration, the rest of the books interior is lovely and educational. I would like a couple for my children this Christmas how about you? How About Nature Study for Christmas Gifts? This is a nature study I am super excited about but it isn’t for this summer. I want to wait until my youngest is a little older and will be able to remember the experience. If you plan to do this, once the chick is able, find the closest farmer and donate it to him or her. Unless you want to raise chickens. This would be a special gift for my oldest. She actually already has one because she aspires to one day be an astronomer and is super interested in anything to do with outer space. In her free time she builds rocket ships out of left over amazon boxes. These days they come equipped with supercharged turbo boosters. I am serious, one day I really can see her doing something in aeronautics engineering. Nasa will probably have some problem they can’t figure out and my kid will walk in and fiddle with something for 2 seconds, fix it, then leave like she just fixed a wobbly table leg. Until that point, we support her desires to learn all that she can on a subject she is deeply passionate about hence the telescope. It doesn’t help that my kid’s mom is the biggest science nerd this side of the homeschool planet. I mentioned to my mother in law that a microscope would be nice as a gift one year so we could use boogers as a way to teach the importance of not picking our nose. I was serious and it was the best gift ever which turned into one of the best booger bacteria studies ever. Well my family is pretty low tech for numerous health reasons. However, everything requires balance and I realized that we were becoming that homeschool family when we were visiting with another family and their children were playing on some game system. My kids were completely enthralled and had no idea what it was, I am kind of cracking up now at the image of it. They have been asking for something like it ever since. When I was five I spent an entire week binging on the brand new original Nintendo with my dad. I beat it too and it was one of the best moments at that time in my life with my dad. I hear these days Nintendo Switch is the new Nintendo. I am considering it for my own as a family gift. I have slowly been building a math lab for our homeschool room. A few math lab materials and math resources would be perfect for a Christmas present. Well this is what I have put together so far. There is no way my children will get anything remotely close to this list but I wasn’t just thinking of them-I was thinking of you too. What are your thoughts? What would you add? Check out my amazon shop for additional educational gift ideas. 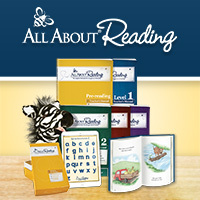 Includes a large selection of living books, books for homeschool parents, science and educational resources.